Lists will clear your mind. I knew I was running in circles because I had so many things moving through my mind. I knew I needed to get all of them done and I knew I didn’t want to forget anything. But I have a terrible memory, which I why I write everything down (my memory is really only terrible because I think of so many things so quickly and so often). Lists help me organize my thoughts. Once I sat down and wrote out the list of what I wanted to do today, I felt instantly better. I was able to quickly look through the list and prioritize what I needed to do and when. When you write something down, you’re 7x more likely to remember it and you won’t have the free-flowing-thoughts clogging up your mind when you need clear thinking. Lists will keep you on track. Once I had my list made, I began working through it. If I forgot what I was doing, I went back to my list. I might have been managing a few tasks at once by using my bonus minutes (the DW can be washing while cupcakes are baking and I’m blending homemade salsa), but I knew what I was doing and when because I’d written it down and thought through the timing and the priorities. Keep your list somewhere visible so you are able to easily reference it throughout your day. Hint: I keep a separate list for home and for work (and for grocery shopping and for my blog writing ideas) – it’s ok to have multiple lists – as long as they are helpful and feel manageable. Lists will reinforce your success. My list today only contained about 15 things. They were as simple as “replace battery in clock” and as time-consuming as “grade papers for class.” I just listed everything I knew I needed to get done today. After I’d complete each task, I’d mark through it. And I felt more accomplished. I could see the progress I was making toward my goals. And yes, I do sometimes write down other things I’ve done just to mark them off too – whatever works! When you can see your accomplishments, you’ll feel more successful and your results will reinforce this behavior, so you’ll be more likely to do it again. 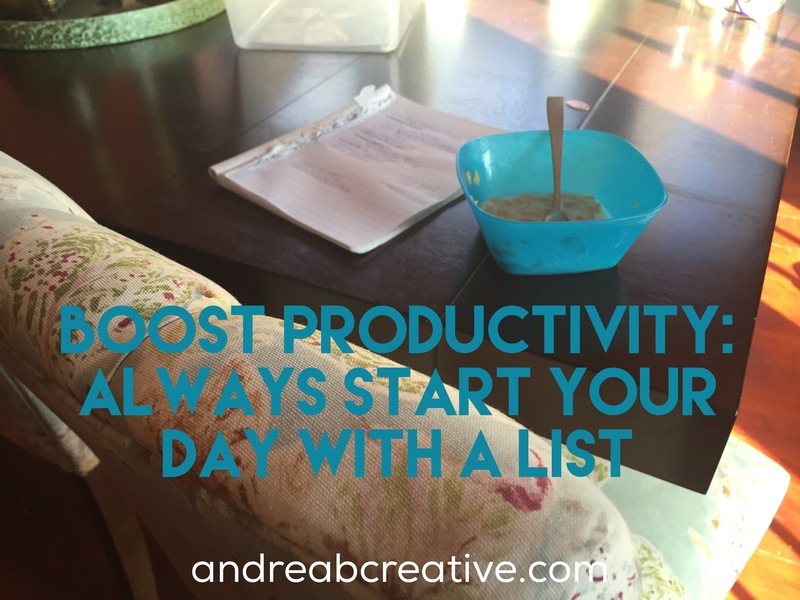 Lists can be an excellent tool to help you manage your day, your goals and your life more effectively. Start small and manageable. Think of what you need to get done and write it down so you make it happen.